In these two regions in Eastern Europe, large Jewish communities resided for five hundred years prior to the Holocaust. 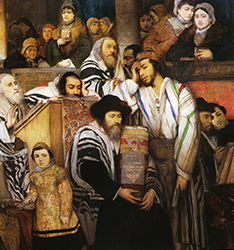 The Jewish community of Galicia and Bukovina is one of the oldest in Central and Eastern Europe. 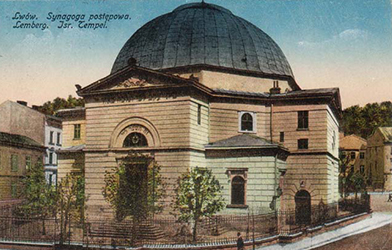 From the beginnings of the Austro-Hungarian Empire to the eve of the Second World War, the Jewish communities of what is today eastern Poland and western Ukraine played a major role in the shaping of the general society in which they were situated. The considerable and significant cultural, philosophical, academic and economic impact of these communities can be felt even today. Their achievements continue to shape the character of the regions in which the Jews of Galicia and Bukovina once lived. In addition, the legacy of the Jews of Galicia and Bukovina have played a major role in molding the nature of both contemporary Israeli society and Diaspora Jewish communities today. In view of the gradual disappearance of members of the founding generation of scholars in the study of the Jewry of Galicia and Bukovina who had amassed expertise in the relevant languages and cultural nuances of the region and the period, this project seeks to promote and rejuvenate research work in that field and to encourage young students to specialize in it.